Another DIY project..my jewelry/accessory holder. I noticed the idea on Etsy and thought it was so cute and I was contemplating purchasing it. However, I decided I would just make my own. The hardest part of this project is finding cute knobs. A lot of people who make this item collect them from flea markets and tag sales. I really didn’t have much luck with that. I bought most of mine from Anthropologie(they have really nice fancy ones). They have the cutest knobs however they are pretty pricey, I tried to get most of mine on sale or clearance. I also purchased knobs or drawer pulls from random hardware stores, Lowe’s, and Home Depot, etc. I purchased wood from Home Depot,(my hubby is very handy so he was able to cut the wood for me in the size I wanted). They have wood already cut and ready to go but it is a bit more expensive. You can buy spray paint or wood stain depending on how you want yours to look. I used Martha Stewart crackle paint on my first one. It came out pretty cool and vintage looking. I chose a few knobs to attach to the wood using a hand drill and that was about it. Currently it’s hanging up on my wall and I throw headbands, necklaces, and hats on it. 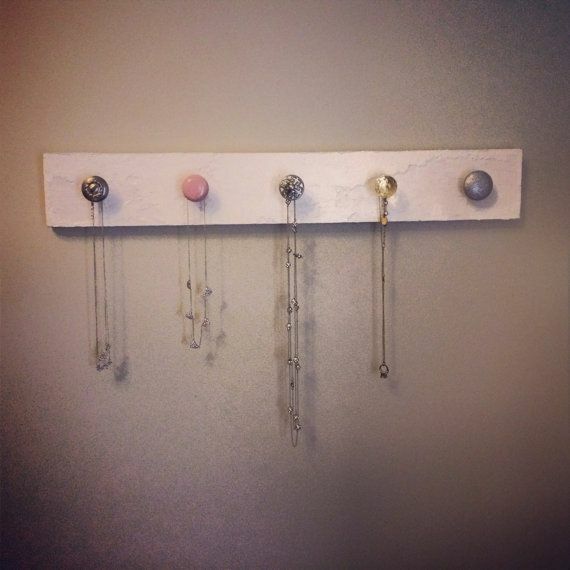 Since I ended up covering all my knobs with coats and scarves this frigid winter, I made a new necklace holder in my attempt to get organized this Spring! great idea! 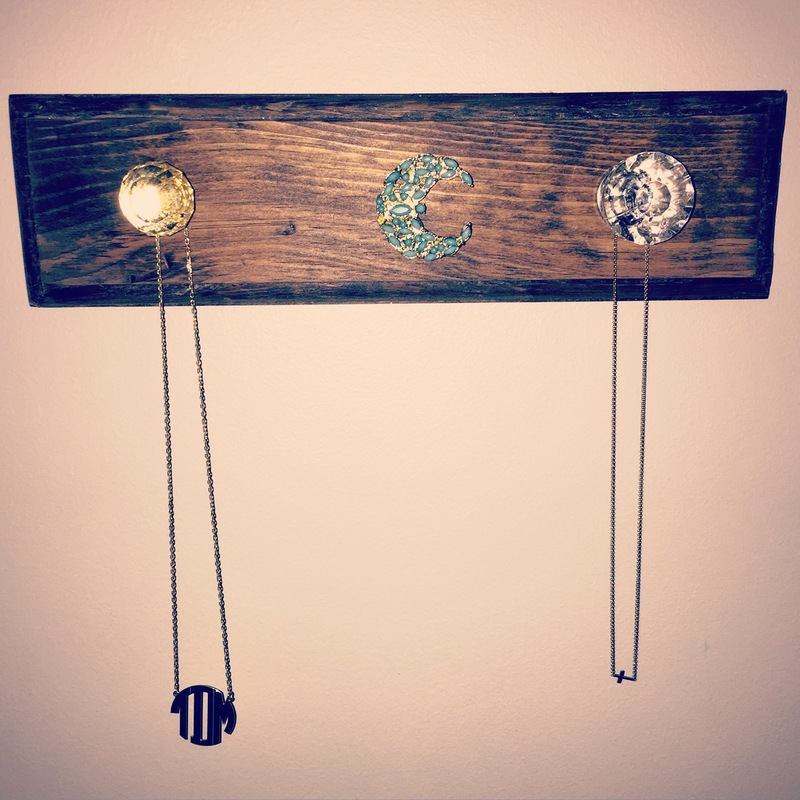 I have been wondering what to do in my closet for necklaces and something like this would be great! Thanks! Let me know how it turns out !